Corporate Fun Days & Millitary Summer Balls Show available through Children's Party Ents Ltd.
Children’s party entertainment, have been providing children’s entertainers to many corporate and military clients over many years. For corporate clients, we have supplied acts for product launches, store openings and promotions, company family fun days, festivals, in fact, any occasion that arises. Our clients include Virgin, Ikea, British Airways, Cunard and P&O Cruises and many other household names. We have also supplied many entertainers at military functions such as Summer balls, Christmas parties, Families days, Mother and toddler meetings, plus many other events. Our children’s entertainers have performed on HMS Victory, HMS Warrior, Army barracks in Tidworth & Aldershot, HMS Belfast, RAF Brize Norton, RAF Shawford, HMS Collingwood, HMS Nelson, HMS Ark Royal, HMS Invincible and many other Army, Airforce, and Naval Bases and ships. Our entertainers are totally professional and have all undergone all relevant security checks and hold current enhanced CRB certificates. I would like to take this opportunity to congratulate and thank Children Party Entertainment for their continuous and great work, they are a credit to their profession, continuously providing great in-store fun for our customers with a spark of magic that completes a great day out for the many people. Children’s Party Entertainments were great and very helpful in booking Charlie the Clown. 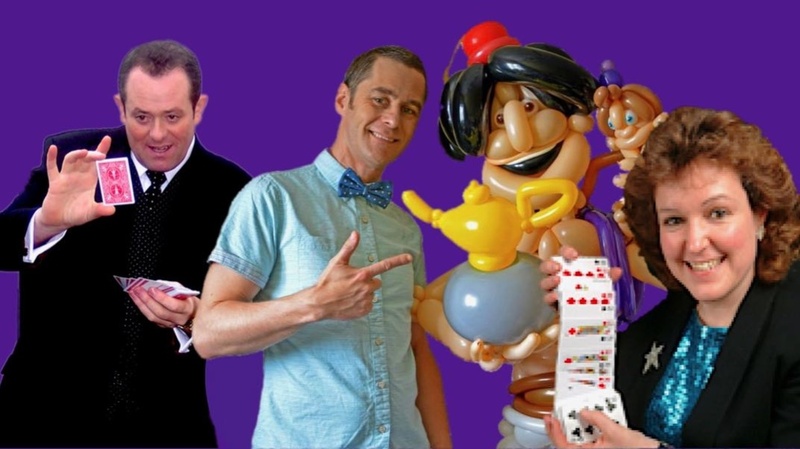 The children loved the magic and comedy show and I received a lot of positive feedback from the parents. Thank you for such an excellent service.